Encourage all water creatures who are being stocked, to take a hot bath until the issue is resolved. I loved the characters and the love story! As a vet I can totally identity with both characters. The vet who went to war and the girlfriend who help him deal with his panic attacks. would i buy it again yes would i recommend it yes to short to fast left me wanting more from nocturne falls.... like the idea of these short stories but leave a blank spot. I am sorry but there is just something lacking in the NFU stories. They lack subtlety. Maybe they aren't long enough to flesh things out? I don't know. What a great story! I wish it were a little longer, but this is my favorite Nocturne Falls Universe story so far! Sela Carsten created a beautiful story filled with love and wonder. One of the most touching books I’ve read/listened to in a long time. Her characters were well crafted and left me wanting more. I hope there’s another Nocturne Falls Universe in our future. B.J. Harrison did a great job of bringing it all to life. I highly recommend this book/audiobook. great story. this was a great blend of the town and people fans have come to love with new great characters. i wish it could have been the 1st full length novel of the eu. dont miss it. This was my first foray into the Nocturne Falls Universe that isn't penned by Kristen Painter so I was cautiously optimistic. 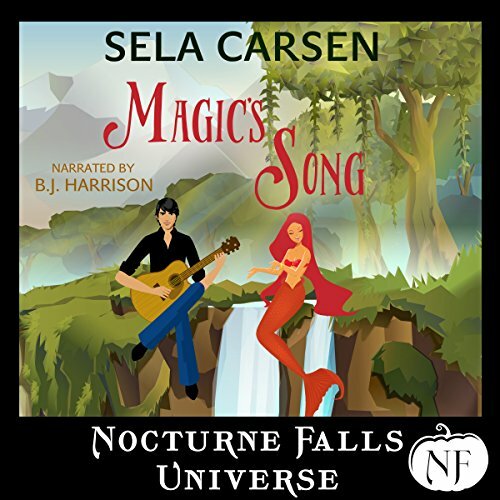 I am happy to announce that while the writing style is a little different Sela Carsen still fitted into Kristen Painter's Nocturne Falls stories. Sela Carsen's writing style suits this series so well, this short story is wonderful and I look forward to reading more of her work.